Currently, right now, we’re at the tail end of January. That means the eleventh month of the year, November, is still really faaaaaaaaaaaar away. That means, we’re still a looooooong ways from the end of this current election cycle, which already feels like it’s been going on for eons, TBH. But, at least now we’ve got Presidential Potato Heads to keep us company. 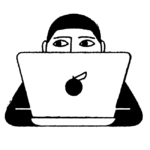 Artist Hannah Rothstein has take her fondness for politics to the next level, and in the process has gone to the potatoes. She’s created a series — hand-created, that is — of Mr. Potato Heads that bear a striking resemblance to presidential candidates like Bernie Sanders, and yes, Donald Trump. Though the figures are not for sale, Rothstein would be open to selling them in the future, or at least their interchangable features. 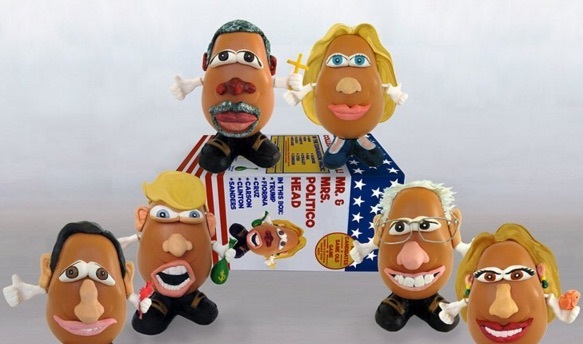 But just quick question, which Politico Potato heads come with their angry eyes, just in case?